What shelter do you photograph at? 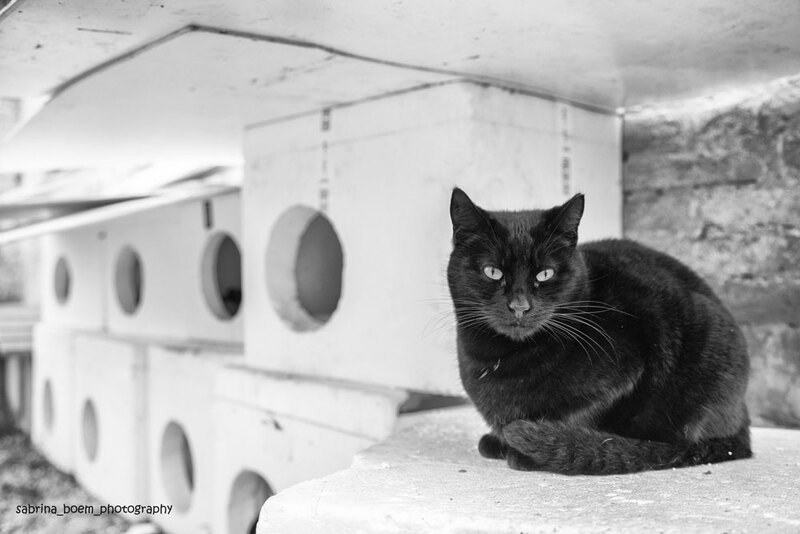 So far, I’ve taken photos in several shelters in northern Italy, in cat cafès where cats are waiting for adoption, in addition to the stray cats and colonies of stray cats that I photograph. I’m planning to go to other shelters in different parts of the country, even if it’s not easy to reconcile work, which is very demanding, and my passion for photography. When did you start taking photos at shelters? 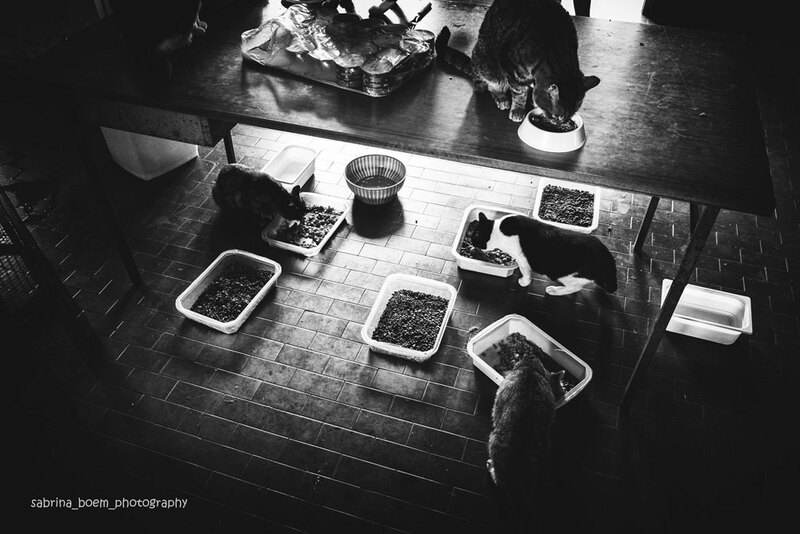 It was only 1 ½ years ago that I went to a shelter as a photographer for the very first time. For two years before that, I had only taken photos of my two cats at home. I loved cats and I wanted to find new subjects. I hardly knew what a shelter was, I had seen one only once in my life when I was thinking of adopting a second cat. It had been a tough experience for me, seeing those cats in cages had been too much for me. 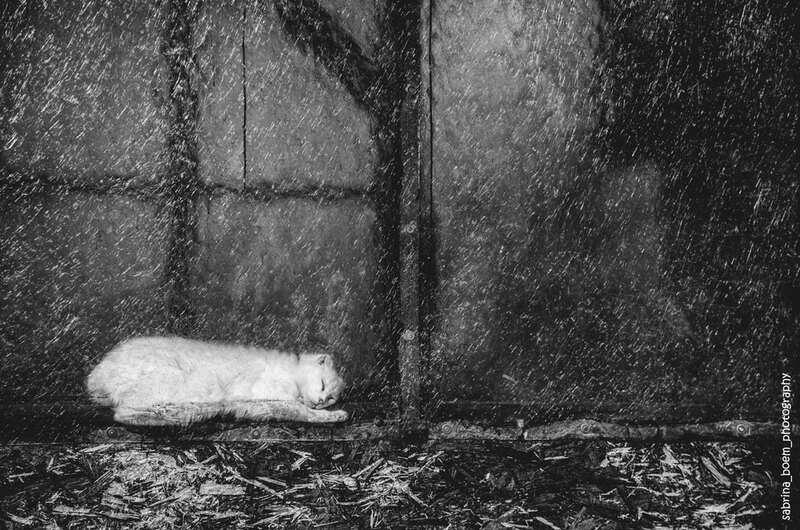 It didn’t matter if those cages where as big as a room because all I knew about cats until then was that cats lived freely outdoors and in homes with yards. I live in a small town near Venice, my vision of cats was stereotyped, but it was the only experience I had had until then. So, when I went to the local shelter looking for a kitty to adopt and saw all those sick, injured and abandoned cats, I just couldn’t handle it and was out of there in twenty minutes. That’s why when one day a friend of mine told me about a shelter where I could go and take photos, I wasn’t very excited about it. The truth is, I was afraid to get hurt again. I didn’t know if I would be strong enough to handle that experience again. But when my friend told me that my photos may be useful to help find a forever home for those cats, I decided to give it a try. So, I went there and I took several photos. Two of them in particular are still two of the best shots I’ve taken so far. When I went back home and saw those images on my computer screen, it was a very special moment. Something got to me. 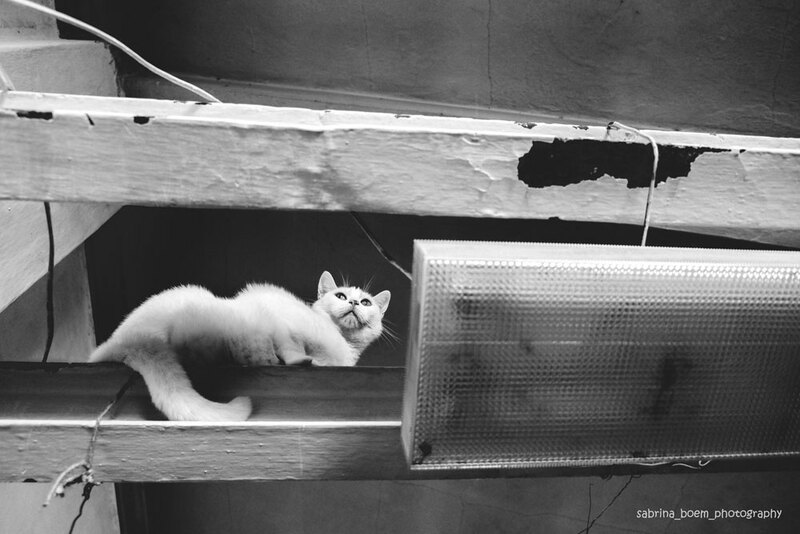 That’s when I decided that those were the kinds of photos that I wanted to take and that I wanted to devote myself to documentary photography of shelter and stray cats. What surprised you the most about taking photos at the shelter? 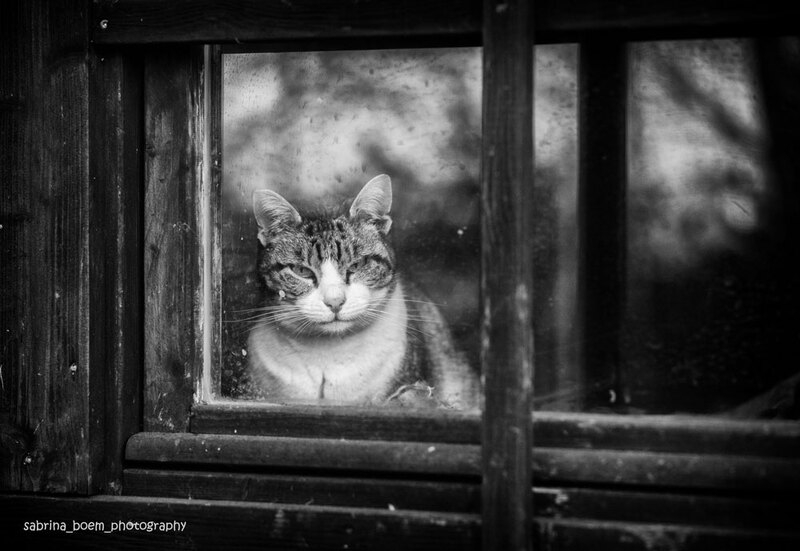 It was the same thing that struck me the first time I took photos of stray cats: their eyes. Stray and shelter cats, especially cats who have lived in a shelter or out in the streets for a long time, months or even years, have such an intense look. I like to have cats look at me when I take their photo. When I’m ready to shoot a photo of a stray cat, for instance, I try to make some noise, not too loud or they would run away and hide, but loud enough for them to notice me and look at me. That’s when I shoot, when a connection is made between them and me. These are the stories I’ve read in their eyes, all this time spent at the shelter and out in the streets taking photos of these cats. And that’s why I owe these cats respect, which means that it is absolutely not my intention to shoot pitiful images of unfortunate cats. Pity is not what my photos are meant to inspire. I would rather them inspire compassion, of course, because their life isn’t easy. But at the same time, I want to show how beautiful and dignified stray cats can be. From the very beginning, I shot mostly B&W because even if I didn’t know it back then, in my mind I had already started what a year later would become a real documentary project. I am inspired by photojournalism, my approach to these shots is honest in the sense that I never create any photo opportunity, I only shoot what I see as an impartial observer. Do you share your shelter photos anywhere else besides social media? Yes I do, which is what makes me feel I’m actually doing something really to help. My photos are available for the shelters where I take them. Some associations do use them for adoption, for their websites where they promote their work, some of those photos were used for a calendar that was sold to raise money. All associations are in desperate need of financial aid, so I’m willing to use my photos to help them as I can. I first met Tarù last summer. I was taking pictures in the park where I usually go, the local shelter is located there and lots of stray cats live there, too. I noticed a white and ginger cat following me. He followed me for a while, which seemed strange because usually in that park each cat has its own territory and they don’t move too far from it. But this cat kept following me everywhere. Every time I stopped to shoot, he would come close and start purring loudly asking for cuddles. I had never seen him before. But when I looked at those big sweet eyes, my heart melted. I went back a couple of weeks later on an early Sunday morning. There was no one around, all bars and restaurants and even the shelter were still closed. 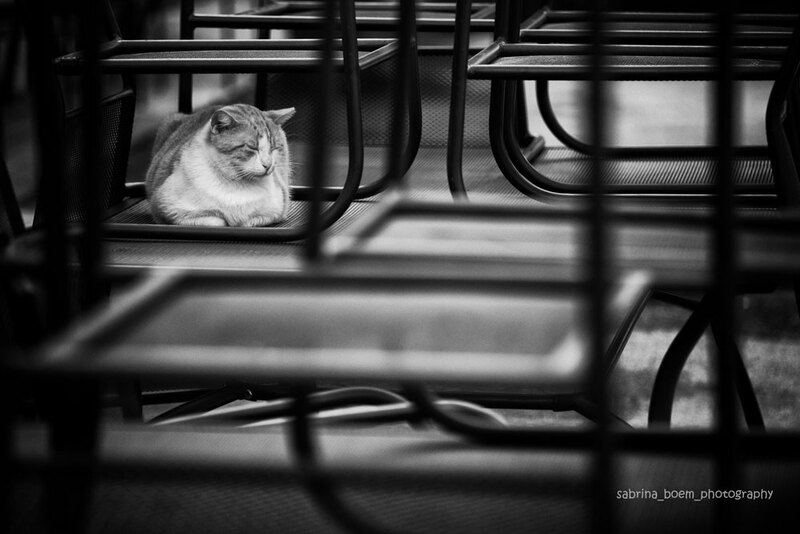 I saw him napping among the chairs on a table of a restaurant. I took a picture of him, that moment was a unique capture. The shelter is located in a very big park quite far from the town center, so we all hoped that he was just hiding from the other stray cats somewhere in the park. But a few days later, Tarù was spotted in town. How he had managed to go that far nobody knows. He was safely taken back to the shelter, volunteers tried again to keep him inside at night and let him outside during the day. It was clear that he was not an indoor cat and they didn’t want to stress him too much. But a few weeks later, Tarù escaped again and luckily enough he was found in town again. So this time, he was closed in a safe room, but Tarù didn’t adjust to living indoors. He kept begging for cuddles and wanted to go out. That situation went on for a year until a couple of months ago volunteers did manage to find the perfect family for him in a place where cars are not allowed, so he can safely go wherever he wants and he doesn’t have to live indoors. Have a nice life Tarù. Every time I see your pictures, my heart still melts. Sabrina was recently asked by the President of the Camera Chiara Photo Club to present her documentary photo project to the club and the public in general. 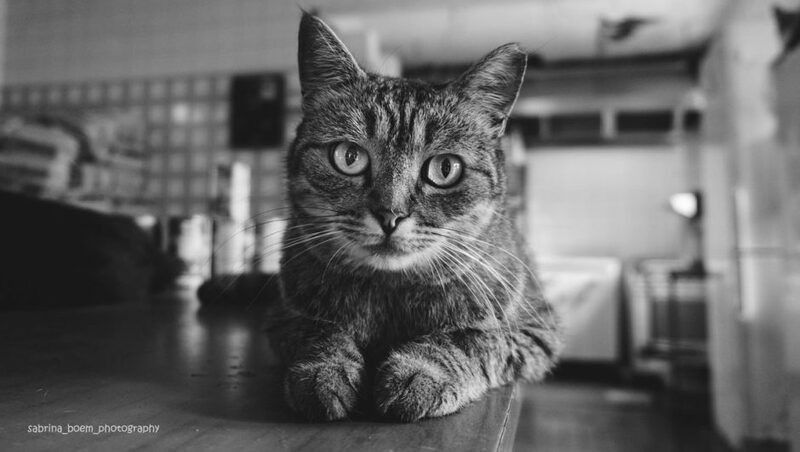 She showed 80 photos from her project and spoke about how adopting her two cats, Sissi and Ricky, started it all, regarding her interest and passion in cat photography. Sabrina also played the video compilation of her photos (which was in a previous post), which moved some in attendance to tears. Congratulations to Sabrina for all of her success with her documentary photography project. Your photos are beautiful and I look forward to seeing where your talent takes you. Sabrina shares photos of her own two cats, Sissi and Ricky, on Facebook. You can connect with Sabrina on Instagram and 500px. 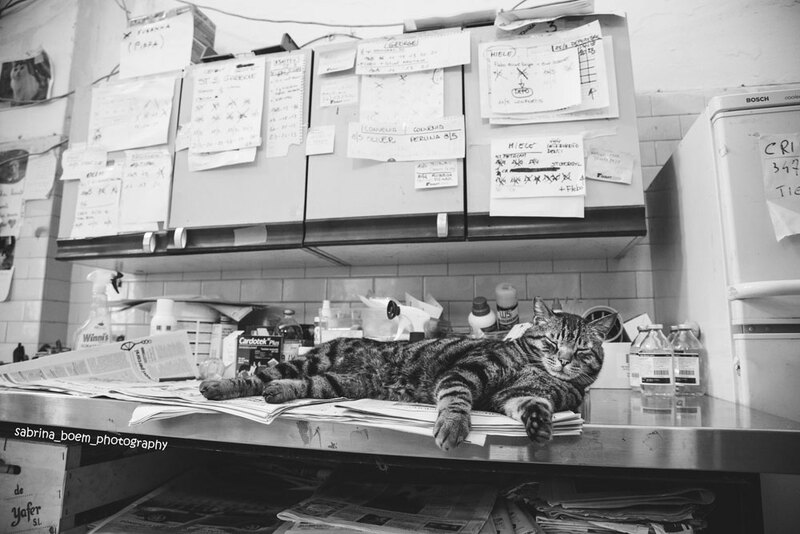 If you missed the first two posts with Sabrina’s photography, you can read them here: stray cat photography and people with cats. How incredible for Sabrina! I’m going to remember those words about the cats’ eyes for a long time. Thanks for sharing all those wonderful pics. Amateur photographer? These are gorgeous! I love her eye! And what a story…love it! Thank you for sharing it! I’m pinning over on my “Mews News” Pinterest board! Such a cool lady and a keen eye! Thank you for sharing. Those are some really touching shelter photos. Pawsum posty. Fanks fur sharin’. One of thses days mommy is gonna have to figger out da allure of black and white. MOL Big hugs to all. Such a beautiful story, thanks so much for sharing it with us. In love with the second and forth photos! She is very talented. Thank you for this lovely article. I enjoyed it. Thank you for sharing more of Sabrina’s beautiful photos. I am very glad that Tarù got his forever home. Wonderful story and thank you for sharing Sabrina dedicated work. Such beautiful emotive photos, I loved reading Sabrina’s story. I am so glad that Taru had a happy ending. Thank you Rachel and everyone for your kind words, it’s so flattering and rewarding to read how much you appreciate my work, so much energy and emotions are involved. She’s amazing. I have enjoyed seeing her work on instagram, and now, reading her story, I love the photographs even more. She has such talent for telling a story in black and white! What fabulous photos that really tell a story! Beautiful!! Another delightful story about Sabrina & her cats. A great photo of a shelter Pet can make the difference between a pet finding a home or not. We enjoy Sabrina’s amazing photos so very much, and it is fascinating to get her commentary … fascinating! Oh my gosh – everyone has a calling and for you to be able to share Sabrina’s story is so amazing! We should all be so humbled to be a part of her story – so powerful, thank you! I can see why her photos have been used in calendars, they are gorgeous! Sabrina’s photos are stunning! I totally agree with her about cats’ eyes — they have stories to tell. Wow. So stunning. What talent and such a great cause. Thank you for sharing. It was wonderful to look at the photographs. I love the story about Taru. How wonderful for the shelter to never give up. I also love the Taru story and wish I could take photos like this! So glad he found the perfect family after escaping on adventures all the time! I agree it’s those eyes – maybe I need to focus more on that, I’ll try that this week! I am in love with this lineup of posts and the photos she has shared. What amazing talent. What beautiful stories. What a wonderful tribute to cats that may not have gotten the love they deserve. These are gorgeous photos and it’s generous of her to share with the shelters so they can put those funds towards the cats! 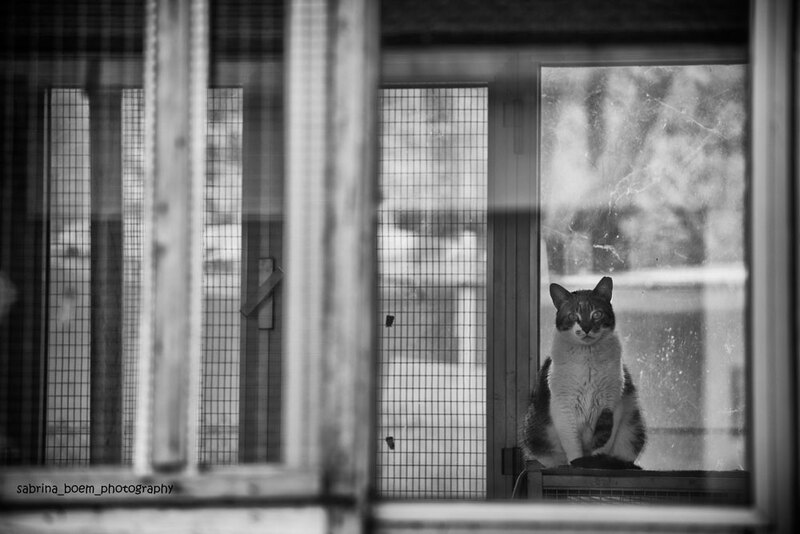 Sabrina’s photos are beautiful, and we thank her for doing so much to help homeless cats. We’re so happy Taru’s story has a happy ending! It is amazing the difference a good photo can make for a shelter animal. Sabrina’s photos are stunning and such a inspirational story. What stunning work! Thank you so much for sharing her story!!! Stunning photography and very interesting interview! i had already seen Sabrina’s work on your previous posts. Her work is so beautiful and inspiring! I loved reading about Taru’s story and it’s happy ending. I don’t often reblog, but I thought this is a wonderful interview and the photographs are beautiful, so it needs to be shared. Enjoy!